This article was first published in January 2002. An edited version with revisions is published here in HTML, with new illustrations and captions. © FSTC 2002-2010. Although Muslim architecture has been widely investigated, it still remains omitted from main stream architecture theories and much of the existing works about it are no more than curiosities undertaken by a group of sympathisers. Here, the notion of Islamic architecture has been associated with Muslim monuments such as mosques, palaces, and castles. Some scholars, such as Briggs (1924), called it Muhammedan. Sometimes, it is denoted as Saracenic, a Crusaders' name for the Muslims. In some textbooks, we find deliberate silence, an example of this is Simpson‘s book, one of early key references of History of architecture . This three volume work touched upon the architecture of most nations but jumped from Sassanian and Byzantine architecture (4th and 5th century CE) to European Medieval architecture of the 11th century (Romanesque), ignoring some 500 years of Muslim architectural achievements (700-1200). Hope (1835) provided a chapter on Islamic architecture entitled "Derivation of the Persian, Mohammedan, and Moorish architecture from that of Byzantium." The title clearly demonstrates why Hope referred to Islamic architecture. Meantime, publications referring to it often present a shy coverage. Kostof (1994), for example, gave it a mere eight pages with five figures in his 800 pages work . 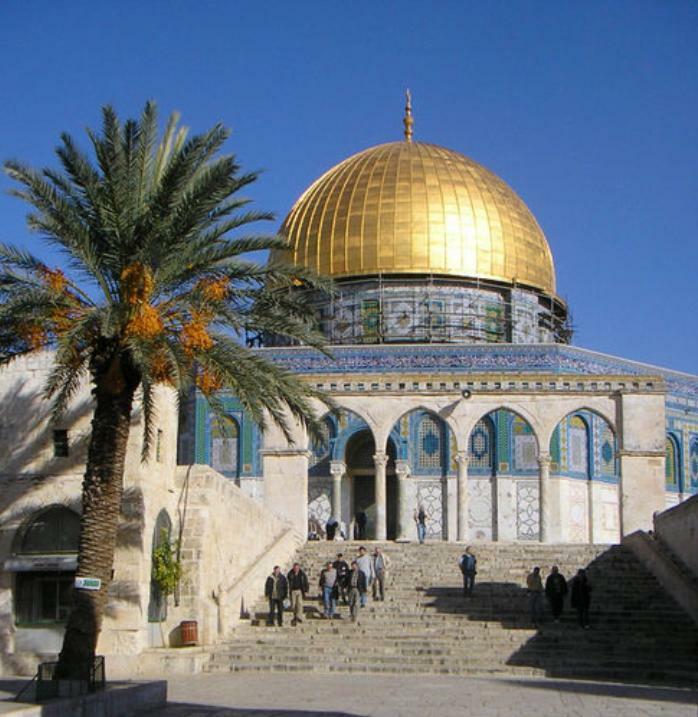 Figure 1: The Dome of the Rock in Jerusalem is a key example of Islamic architecture. (Source). Furthermore, there are views circulating in the West which reject the "islamisation" of architecture, arguing that Muslim architecture was used by Orientalists only to differentiate it from other types of architecture. This prejudice is often argued by the misconception of Islam‘s reluctance to building and urbanisation which circulates among some scholars. They propound that the nomadic lifestyle of the Arabs discouraged any form of permanent settlement and thus any architectural or building tradition. According to this view, much of the building heritage of what is called Islamic architecture came from Christian, Persian, or Indian origins and Muslims only imitated and sometimes employed masons from these cultures. 1. Although Islam opposes the exaggeration in unnecessary spending, it has no objection to comfortable life or wealth as such, nor to the enjoyment of this worldly life. Allah has subjected his creation to the use of his favourite creature (man), but man has to use it within the boundary of his Almighty‘s law and guidance, as it is clearly affirmed in a Quranic verse of Surah Luqman (31:20). 2. Sources on the tradition of Prophet Muhammad show that he discouraged Muslims from miserable living. It is amply evident that he had worn rich clothes in festivities and was fond of exquisite perfumes and essences. His famous expressive saying: "Strive for your earthly life as you live forever and strive for your hereafter as you will die tomorrow" sums it all up. 3. In relation to building activity, we find indications in the Quran as well as in the tradition of the Prophet that the first builder was Prophet Adam who built the Kaaba. After him, it was Prophet Ibrahim (Abraham) and his son Ismail (Ishmail) who rebuilt it, after its collapse some 800 years before Prophet Suleiman (Solomon) built his famous temple, which is considered in some popular writings as the origin of architecture. The Quran also refers to building in a number of occasions. In Surah 66, Ayah 11, for example, the wife of the Pharaoh in her supplication says: "My Lord! build for me a house with Thee in the garden and deliver me from Fir'aoun (Pharaoh) and his doing, and deliver me from the unjust people". Prophet Muhammad participated in the construction of his mosque by carrying bricks. He also helped in the construction of dwellings of some of his followers. In one of his sayings, he stressed that "Whoever built a mosque, with the intention of seeking Allah's pleasure, Allah will build for him a similar place in Paradise ." Figure 2a-b: Two views of the Abbasid Caliph Al-Naser Ledinillah Palace in Baghdad, built ca. 1200: (a) Main entrance door; (b) Muqarnas vaulted corridor. (Source). From the above, it appears clearly that Islam has no objection to building and urbanisation. On the contrary, it requests the sons of Adam "to work and settle Earth if they are to fulfil their main divine purpose, as Allah‘s entrusted servants". As for borrowing from other cultures, we find the argument endorsing the universal concept of the message of Islam. Islam‘s accommodation and tolerance to other cultures have been its strongest point: "There is no difference between An Arab (Muslim) and a non Arab except by Piety" declares the Prophet. "Believers are but brethren" adds the Quran (49:10). In no other part of the world was the population so diversified, yet united, than in the Muslim World. This is the secret of the success story of Muslim art, architecture, science and technology of the classical period of Islamic civilisation. Its expansion over a vast territory, incorporating three continents, provided a cultural richness that played a significant role in the elaboration of Muslim art and architecture. Converts from Christian, Persian and Indian origins enthusiastically redefined their knowledge, as well as their experience in arts, industry and various accomplishments of their respective nations, to conform with Islamic values and injected it into their new world. Muslims were not blind imitators but "were content to adopt each local style that they found, modifying it mainly in distinctive ornamental details, but also introducing several important new features of plan and structure ." On the other hand, early imitation or sometimes adaptation of non-Muslim buildings was deliberate, as these buildings were often communal centres for pagan societies. The early introduction of a completely alien architecture was not desirable, as Islam remoulded existing traditions and built on them the new value and life systems. So, these centres which played important community roles in ignorant pagan times, provided new enlightened rays of the new belief. The early use of churches in Syria and Spain, and temples in Persia and India is evidence of these attitudes. 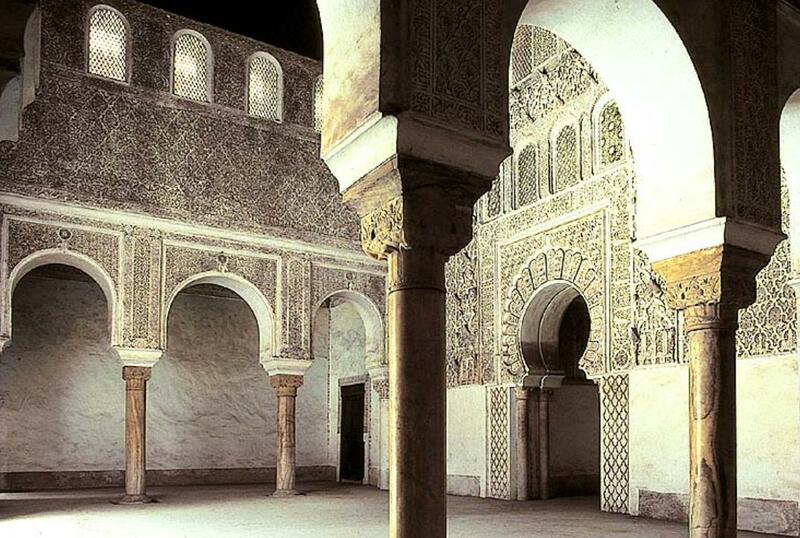 According to H. Saladin , the plan of the mosque was derived from older Semitic sanctuaries. Muslims have always maintained that Islam is a purification and renovation of Allah‘s old religion revealed to previous Prophets Ibrahim, Moses and Jesus. The building of mosques and diffusion of the new architecture did not take place until Islam became established in that community or region. 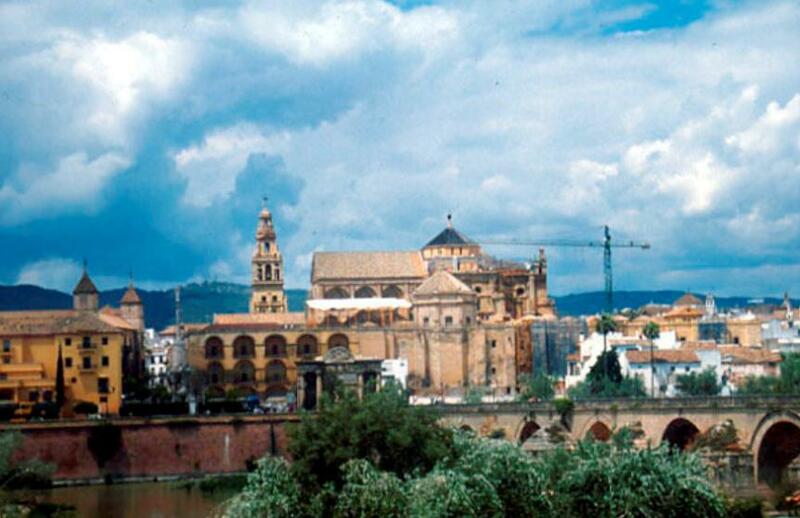 For example, in Spain and Sicily, Muslim architecture clearly showed no connection with existing Visigoth and Lombard/Byzantine building cultures. 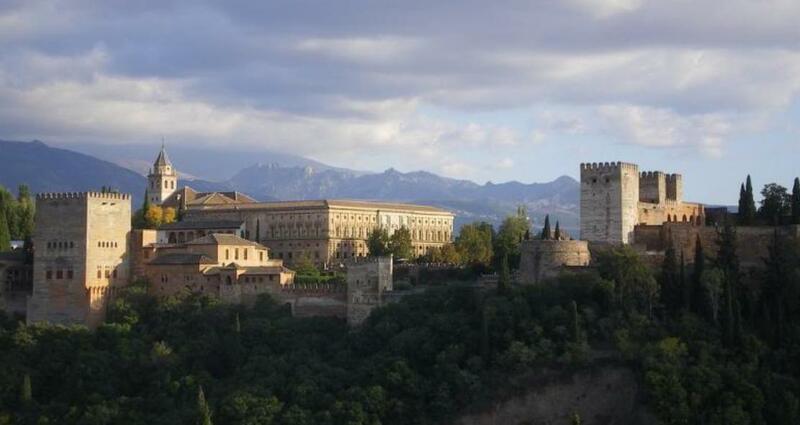 Figure 3: External view of the Alhambra complex in Granada (Source). As Islam took firm roots and a degree of economic and cultural prosperity was reached, unique core architectural features, forms and techniques evolved. Such factors became distinguishing features of Muslim and Islamic architecture. Similarly, the existence of other elements unique to Christian or Japanese architecture would define their building style. The second issue is terminological and connected to the use of "Muslim" and "Islamic" architecture. The two words are theoretically interconnected but conceptually different. Muslim is a general word referring to religious and geographical setting of Islam. Muslim architecture is the building style of the countries of Muslim religion, a term which may include modern or old architecture practised in these countries and which may not be necessarily Islamic nor display any known features of Islamic architecture such as the arch, the dome, stucco decoration, etc. Similarly, we say today Muslim city to refer to its location in a Muslim country rather than to its Islamic morphological features. The other disadvantage of using this concept is related to buildings of Muslim origin but not in the Muslim world, as in the case of Spain, Sicily, old USSR and other countries. More positively, one can define it as including the architecture that was accomplished by Muslim masons, architects, for or under Muslim patronage (government), or in a Muslim country. Islamic architecture can also be misleading as one may understand that it refers to the architecture of a particular religious (Islamist) group or that of a religious function, while in reality it refers to the Islamic way of building and the specific style developed in the civilisation of Islam. In this definition, we are not concerned with the location and actual function of the building, but rather with its Islamic character in terms of design, form and décor, a definition which includes all types of building rather than only monuments. This is practical for the ordinary house as well as the mosque, the palace and other major architectural monuments. However, one can analytically categorise Muslim architectural achievements in two main areas involving religious and secular. The centre of the first is the mosque which was invented in the first year of Hijra to serve a prestigious role providing shelter and refuge for the first community of Muslims. The faithful gather there five times a day and every Friday on a weekly basis. The articulation of elements such as arches, domes and columns, calligraphic illustrations and geometrical decorating patterns create a continuous sense of peace and contemplation. 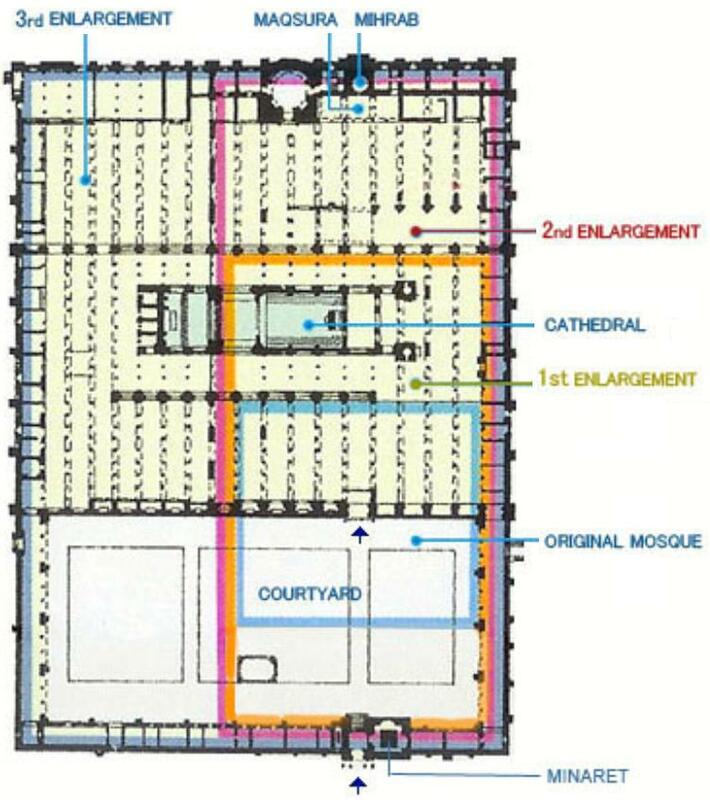 Figure 4a-b: The Great Mosque of Cordoba built by 'Abd al-Rahman I, and extended by 'Abd al-Rahman II, al-Hakam, al-Mansur, and Ferdinand III, between 784-786 and the 16th century (Source); (b) Floor plans showing the four phases of development: The first and second enlargements were made along the central axis, while the third enlargement was done to the lateral direction, which caused the position of the Mihrab not to be located in the middle of the Qibla wall. (Source). Architecturally, the second most important religious building is the Madrasa (school), being in general a college which evolved from the mosque and was finally established as an independent institution of learning and education. The form of Madrasa progressively evolved starting from the simple form of houses of the teachers and reaching the monumental character of the Kutubiya in Marrakesh, Morocco. Here, the building incorporated lecture theatres, library, residential rooms for students and facilities such as bathes, fountains and a courtyard, which is equipped with a water clock. Although, a handful of Madrasas still exist today in the Muslim world, most of its teaching is undertaken by modern universities which do not structurally differ from their Western counterparts. Other religious buildings include monastic mosques (Zawiya) and mausoleums which can also be very elaborate, reaching sometimes a monumental position like the Taj Mahal in India. Muslim secular buildings consist largely of domestic structures, palaces and ordinary houses. Here, one cannot stop appreciating the successful adaptation of space to religious values and teachings, especially those relating to private and public domains. From early palaces of the Ummayyad and Abbassid Caliphate to modern houses, there was much observance of distinction between private and public spaces. The first was designed for family and domestic life, reserved for children and women. In the palace, the public space was for conducting public affairs such as reception halls, meeting rooms, ceremonial courts (maydan) and mosques for princial entourage. Their setting, organisation and décor had worldwide reputation that they were made settings for many Western sagas and tales. Figure 5: Ibn Yusuf Madrasa in Marrakesh, Morocco. (Source). Other buildings that form part of Muslim secular architecture include military structures such as castles, forts, towers and walls. These were erected to provide protection for cities, especially in areas where external threat was menacing as in Palestine and its bordering countries (Syria and Jordan), in Cairo and North African coast. Giant gates forming part of the defensive system as well as elements of ceremonial furniture (victory) were also erected along these ramparts. The oldest of these is Bab Raqqa in Baghdad of Al-Mansur (in 772 CE)  and Bab Al-Futuh in Cairo (11th century) . 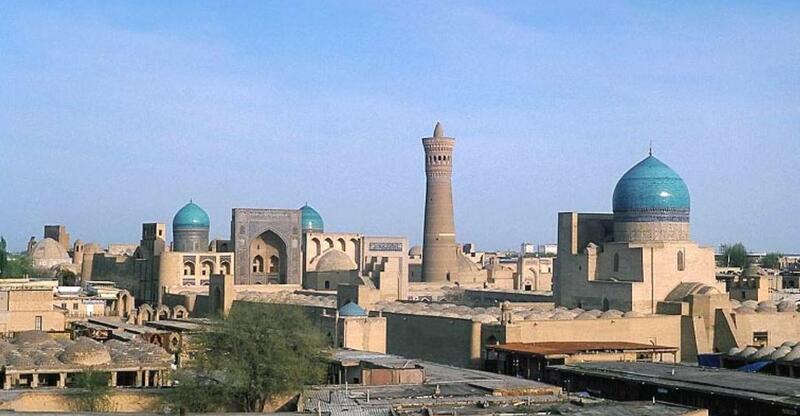 Muslim keen interest in trade produced highly developed architecture in the form of numerous caravanserais, warehouses (Qaysariyaor Khan) and suqs (markets and bazaars) which formed the economic heart of the Muslim city. In engineering architecture, Muslims managed to create ensembles of structures combining high degree of engineering, functionality and outstanding beauty. Their bridges, fountains and reservoirs also form fascinating elements showing sense of purpose and professional excellence. 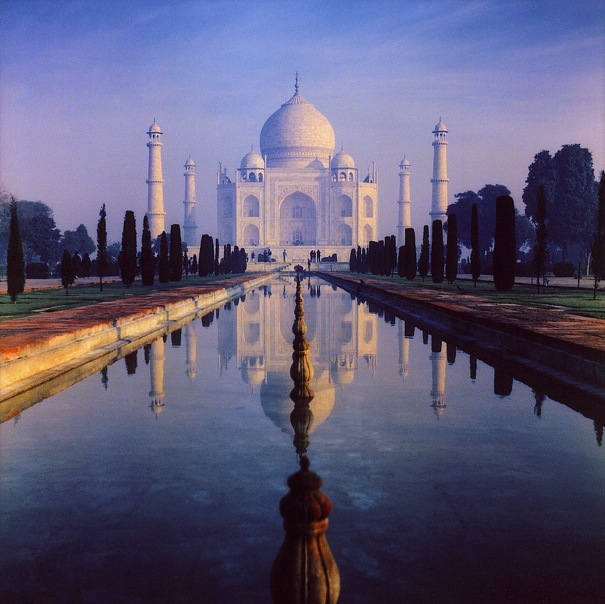 Figure 6: The Taj Mahal in Agra, India, built by Shah Jahan as a mausoleum for his wife, represents the pinnacle of Mughal Islamic architecture in India and is one of the most recognisable buildings in the world. (Source). Muslim architecture attests to the high level of power and sophistication that the Muslim community had reached at a time when Europe was living through the dark ages. Whether in the mosque, the palace or in the ordinary house, Muslim mason, architect and artist remarkably transmitted the profound devotion of Islam to community. 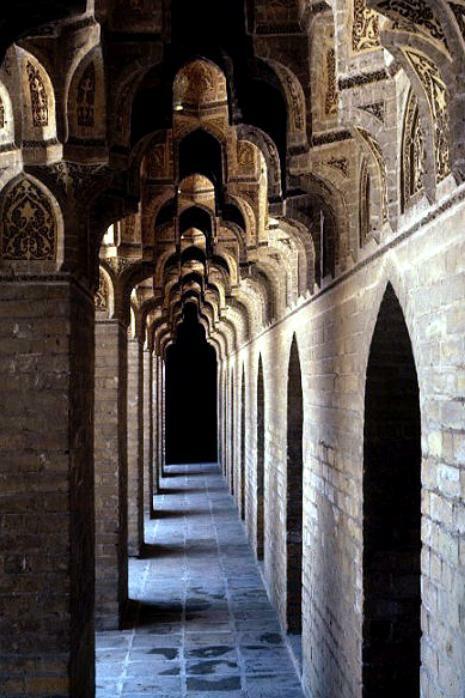 The world owes much of its architectural development to early Muslim architects. Europe in particular built its architectural renaissance on the advances made by Muslim architects; a fact acknowledged at least in Gothic by a number of Western scholars including Fletcher (1961) who stated: "It is now generally admitted that European Gothic architecture owes a substantial debt to Islamic prototypes, many of which became familiar to the Crusaders in Egypt, Palestine and Syria ." 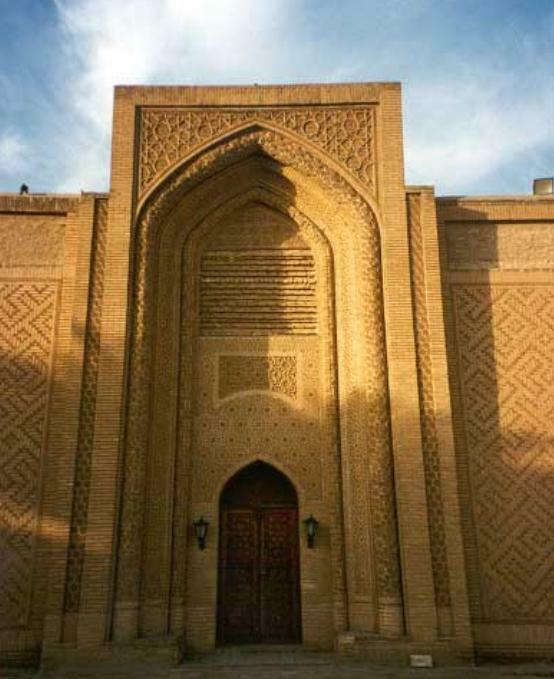 Figure 7: Kalan Mosque in Bukhara, Uzbekistan. (Source). Creswell ,K. A. C. (1958), A Short Account of Early Muslim Architecture, Penguin Books. Fletcher, B (1961), A History of Architecture: On the Comparative Method, The Athlone Press, London, 17th edition. Hope, T. (1835), An Historical Essay on Architecture, John Murray, London. Kostof, S. (1994), A History of World Architecture, Oxford University Press, Oxford. Hakim, B. (1986), Arabic Islamic Cities: Buildings and Planning Principles, Kegan Paul, London. Saladin, H. (1899), La Grande Mosquée de Kairwan, Picard, Paris. Simpson, F.M. (1913), A History of Architectural Development, Longmans, Green & Co. London. Summarised Sahih Al-Bukhari (1994), translated by Muhammad Mohsin Khan, Riyadh, Saudi Arabia: Maktabat Dar Al-Salam. F.M. Simpson (1913), A History of Architectural Development, Longmans, Green & Co. London. See S. Kostof (1994), A History of World Architecture, Oxford University Press, Oxford. Summarised Sahih Al-Bukhari, 1994, p. 181. There are numerous sayings about building and making use of earth, e.g. Anas bin Malik narrated that Prophet Muhammad said: "There is none amongst the Muslims who plants a tree or sows seeds, and then a bird, or a person or an animal eats from it, but is regarded as a charitable gift from him" (ibid, p. 505). Bab al Futuh is a gate in the walls of the Old City of Cairo, facing north. It was finished in the year 1087. It stands at the northern end of Muizz Street. Its rounded towers were a stronger defence than the square towers of Bab al-Nasr (another Old City gate, just to the east). They had shafts for pouring boiling water or burning oil on attackers, and arrow slits. These gates and also Bab Zuwayla were built the powerful Fatimid vizier Badr al-Jamali, who ruled Egypt from 1074 to 1094, to prevent the attempts of the Turkoman Atsiz to take Cairo, among other threats from the East. See Bab al-Futuh on Archnet.